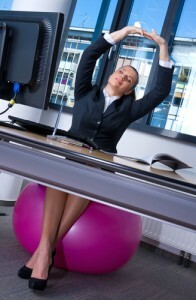 How to Stay Active and Energetic every day at Work? Business woman stretching in office. Photo courtesy of Shutterstock. It’s challenging for a lot of people to work in an energetic manner every day. You must have experienced this problem if you work behind a desk and use your computer to get most of the work done. You can feel vigorous by adding some physical activities to your daily routine. If you don’t do that, then you will feel stressed and eventually face health-related issues. Portrait of a smiling worker in a factory. Photo courtesy of Shutterstock. When the job is new, it usually seems refreshing and interesting. However, as your job gets old, it may start making you bored and tired all the time. No matter how happy-go-lucky you are, sometimes it becomes tough to stay positive and happy at work. For college students searching for jobs on LinkedIn without much success, the following post identifies two mistakes that are holding them back. If you are interested in prolonging your life while on your entry level job, check out an infographic in the following post encouraging you to sit less, and some tips for improving your health. If you are networking as part of your search for jobs for college students, the following post shares seven ways to see if your network is providing value to you. Even once they’ve landed recent graduate jobs, young professionals can find something else to do to benefit them personally as well as professionally. In the following post, learn nine reasons to find a side hustle. If you are searching for an entry level job through Twitter, the following post has tips that could put you one step closer to finding employment. So you’ve just got out of college and you have a nice new shiny diploma with a neat little emblem on it. Now, it’s time to get a job and one of the first things you need to tackle is your resume. This article is going to give you both hacks and perspective to get your foot in the door. Now, because there are a million and one different majors and specializations out there, this article is engineered to speak in general terms that are applicable to most everyone. While they may not be looking for employment now, future entry level job seekers may want to use LinkedIn as a start to a successful career. 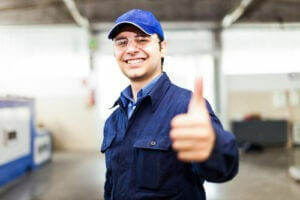 In the following post, find out how the site can help them early on to build a professional image.